Bee populations have suffered in recent years, but one tenacious species thrives in a harsh environment: the deserts of the American Southwest. An entomologist from Utah State University (USU) found not only does this new bee species build nests in sandstone, they actually prefer to construct homes there, and their curious habit helps them survive. Almost 40 years ago, USDA-ARS entomologist Frank Parker found bees living in sandstone at two places in the San Rafael Desert in Utah. Although he researched the unusual bees, his work was set aside for many years until USU doctoral student Michael Orr began to once again research the insects. Orr found nests made by the “uncommon” and “hard-to-find” bees in five other locations in southern Utah, Death Valley in California, and at the Ancestral Puebloan cliff dwellings at Mesa Verde in Colorado. Sturdy sandstone offers the bees protection. Orr says sometimes bees stay inside the sandstone nests as a way to cope with drought when flora is limited. Built high into the rock, the bee nests also offer safety from flash floods or erosion. 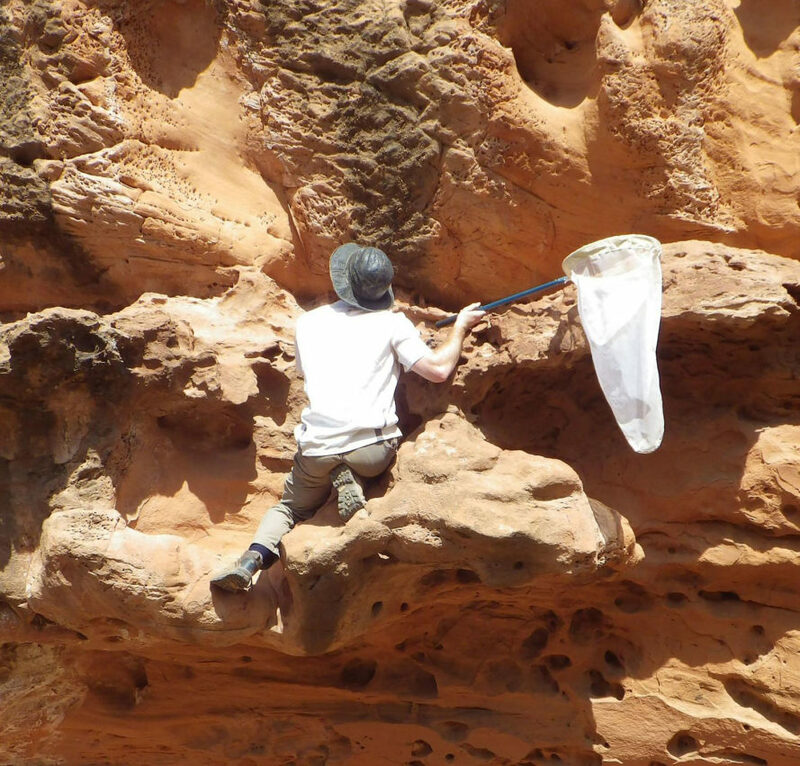 There’s even less chance of microbes that threaten bees coming to the sandstone nests. Since sandstone doesn’t have as much organic matter as some habitats, most microbes growing in the rock make food for themselves, and so aren’t as likely to invade the bees’ home. Entomologists from Utah State University discovered a remarkable new species of bee that builds nests in sandstone. The bee, Anthophora pueblo, "actually prefers nesting in sandstone." The bee can be found in the American Southwest.